Christopher Matthews of CNN Money has written that Warren Buffet and Marc Andreessen are both right although they seem diametrically opposed. Matthew and CNN have got it right as well. Matthews explains that Buffett and Andreessen are both very wealthy and successful investors (Buffet much wealthier than Andreessen) yet they have very different investment plans. With higher risk and higher reward, Bitcoin fits Andreessen’s plan. Andreessen is also the technology venture capital guru. Warren is truly old-fashioned in most ways, and does not invest in risky ventures. Buffett also is admittedly not into technology. It fits that Bitcoin is ideal for high-risk, high-return technology investors. Buffet is correct that Bitcoin is not a match for low-risk traditional investors. As a computer programmer, economist and payment processing professional who loves new technology, my heart is firmly with Andreessen in this matter. 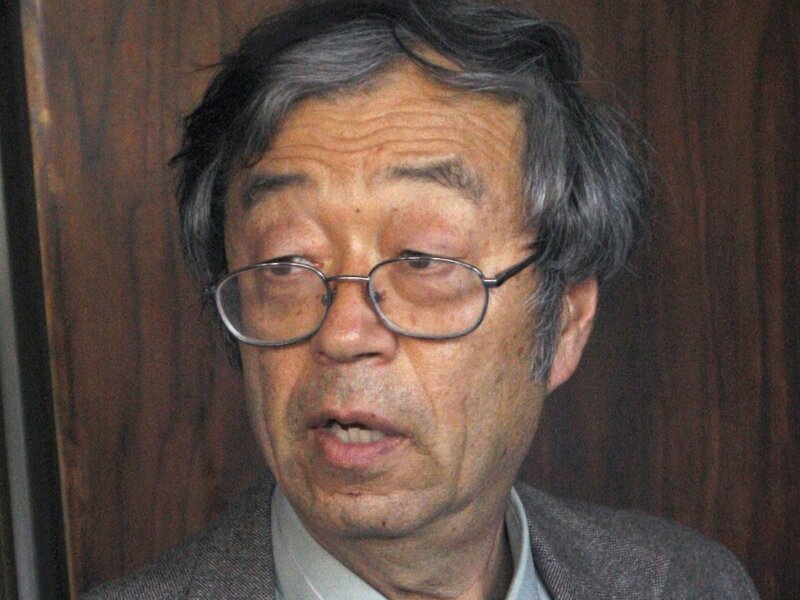 In fact, my calculations says that it is risky to not buy a small amount of Bitcoin, even for old-fashioned investors. Losing out on a financial opportunity is a real type of loss. Bitcoin is certainly worth researching for most investors. The safe and smart thing for most is so buy as much Bitcoin as one can afford to lose. 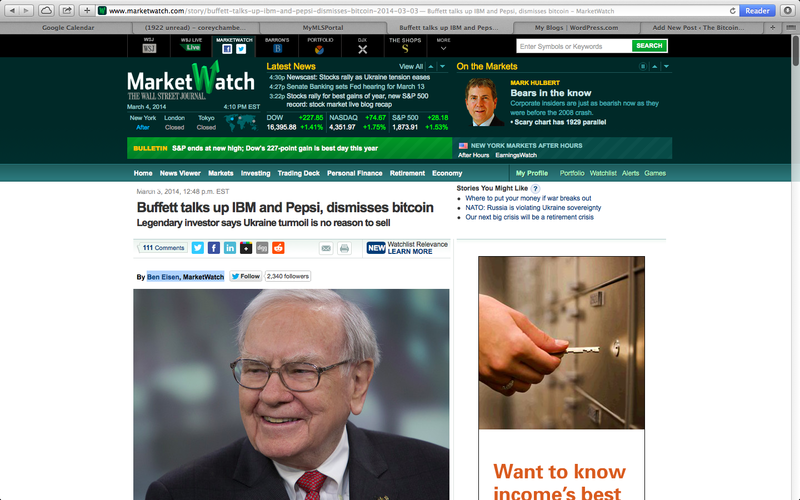 Ben Eisen of MarketWatch recently wrote about how Buffett likes Pepsico, but he does not like Bitcoin. Is that a shock to anyone? Buffett said that Bitcoin is “not a currency”. He said that it will not be around for a long time. When it comes to Bitcoin, Buffet does not know what he is talking about. Buffet is most credible when he sticks to what he knows. Buffet knows large cap companies. He knows to buy quality at a low price and sell high over large market cycles. While Buffet is correct about Bitcoin being more short term. Buffet is correct that Bitcoin is probably not a super long term investment. Bitcoin has already proven itself for 4 years however, and Bitcoin is just getting started. Bitcoin is opposite of what old-school Buffet all about. Buffet does not invest in bleeding edge innovation technologies like Bitcoin, so his smartest move is to sell against Bitcoin. Buffet played his smartest move like Billionaires can be counted on to do. Bitcoin does likely have a shorter life span that Pepsico or Coca-Cola. Bitcoin is more predictable than many are aware of. There is one word that speculative investors need to keep an eye on in order to know when to stop buying and when to start selling off Bitcoin. The Bitcoin Books will provide that secret word.